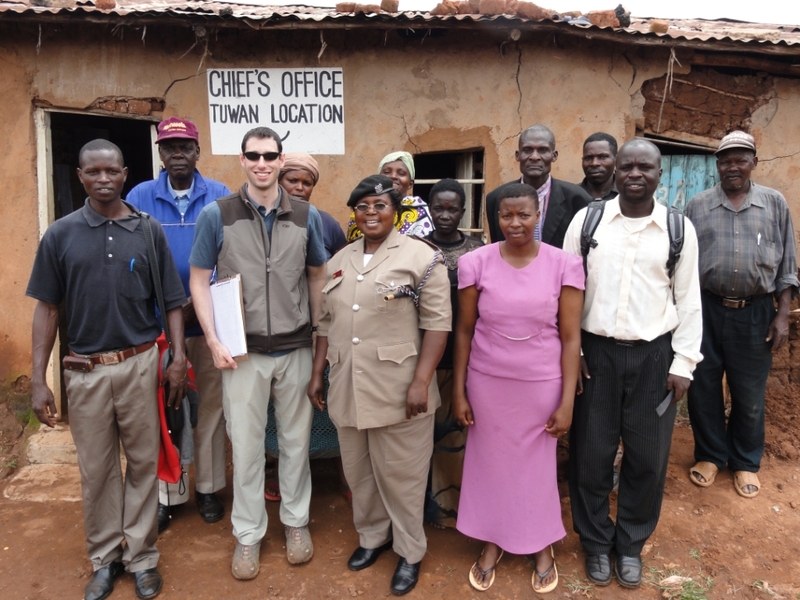 Yesterday I conducted my last set of field interviews in the Kitale region. 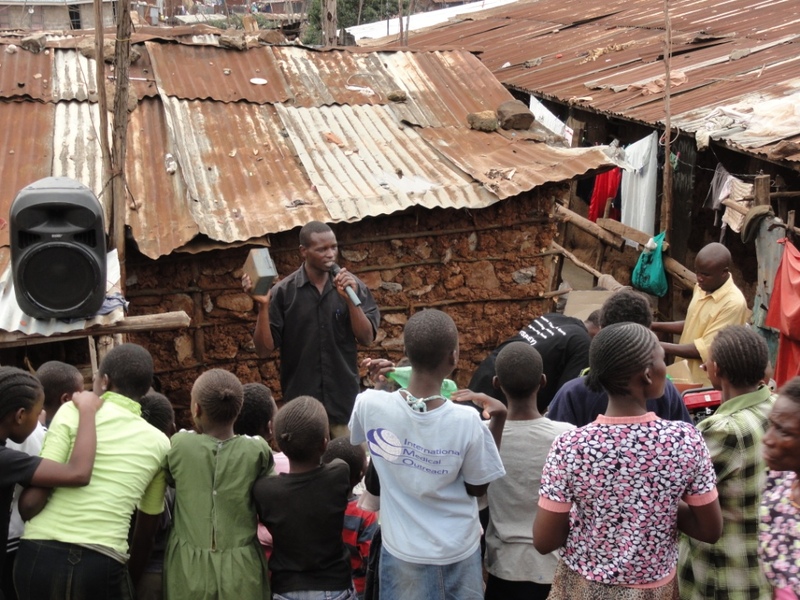 This time I spoke with several people in one of the slums right outside Kitale. 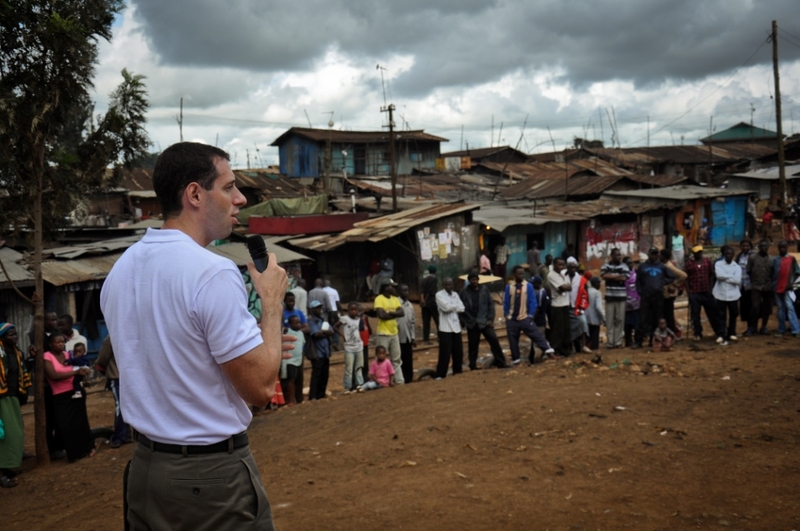 While the living conditions are quite poor, the level of sanitation is fortunately far better than Kibera. 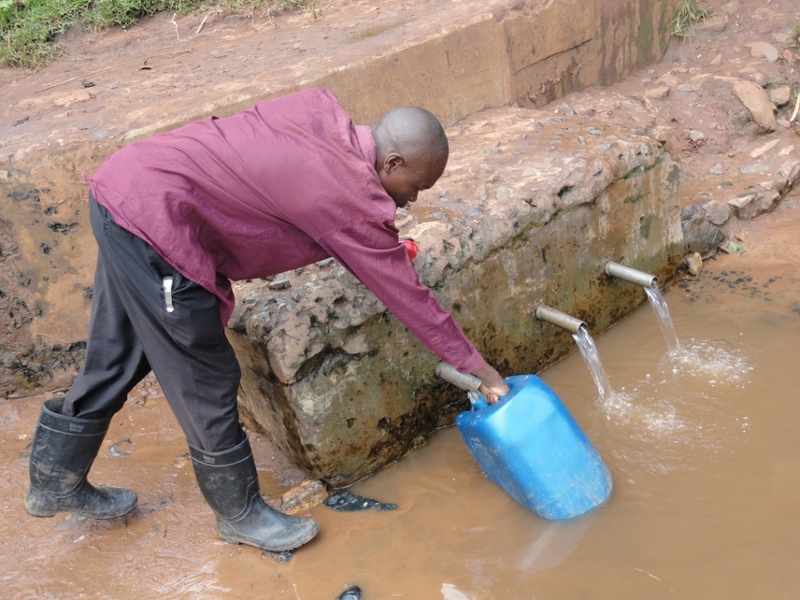 In the Kitale slums, most people are getting their drinking water from a tapped stream, which costs 1 shilling per 20 liters. 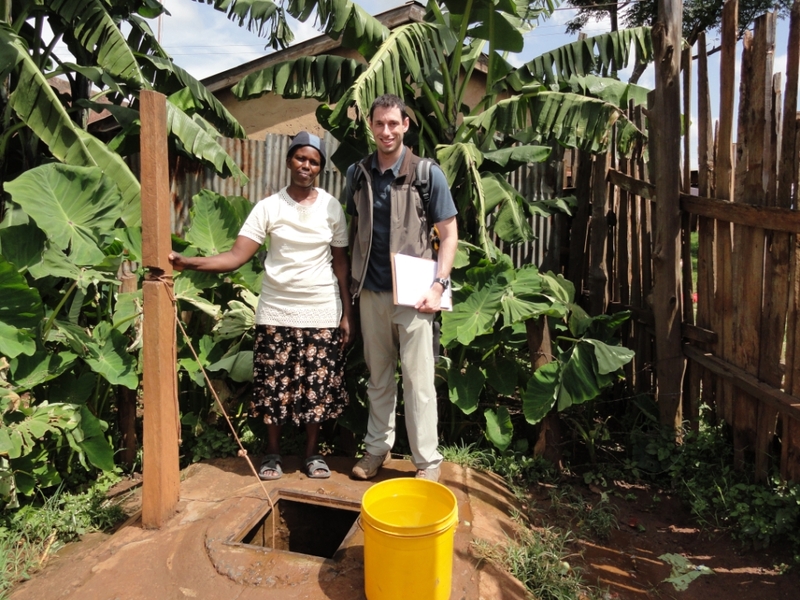 Interestingly, many of the residents here do boil their water at an average cost of 50 shillings per 20 liters. Once I heard that, I had little doubt that people in this area would be interested in the water kiosk model. This was confirmed with the overwhelmingly positive response to the idea by the majority of the residents. 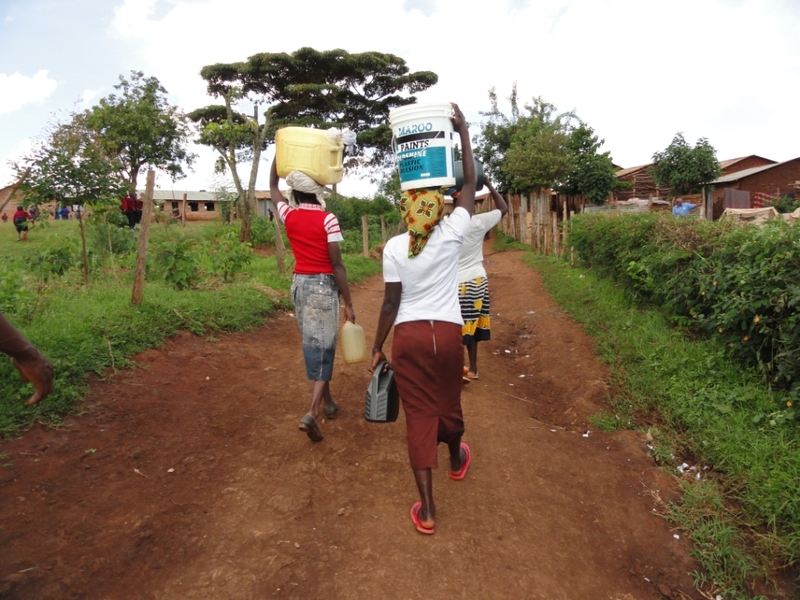 Several tried to haggle on the price of the water, which I said would be 10 shillings per 20 liters. I was actually quite excited to see them trying to negotiate the price, as I don’t think they would have spent the time and energy to do so if they weren’t legitimately interested in the idea. In reality, I hope to charge closer to 5 shillings per 20 liters, but it would be nice to be able to charge up to 10 if needed for financial viability. Of course the goal is to charge as low a rate as possible while operating profitably. 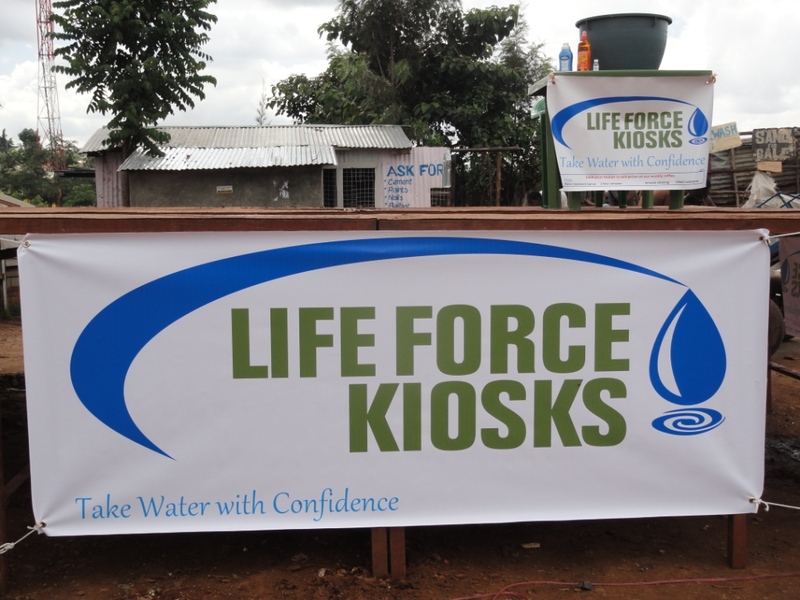 I still have additional interviews to conduct in Kibera, but it looks promising that the kiosk model may work in poor, urban areas where people already pay for water and treatment. The next step is to determine the best business model for the kiosk. My original thought was that that each kiosk owner would get a micro-finance loan and operate fairly independently. When I had difficulty getting in touch with MFI to help with a pilot, it made my consider alternatives which may be even better. My revised concept is more of a franchise model, where a centralized management team would be responsible for purchasing equipment in bulk, conducting community marketing, and providing training and quality control for the kiosk operators. Rather than paying interest to an MFI, they would instead make payments back to the company that would be used to pay the overhead costs. I see multiple advantages to the franchise model. If kiosk owners all worked independently, nobody’s profit would be large enough to invest in things like marketing. 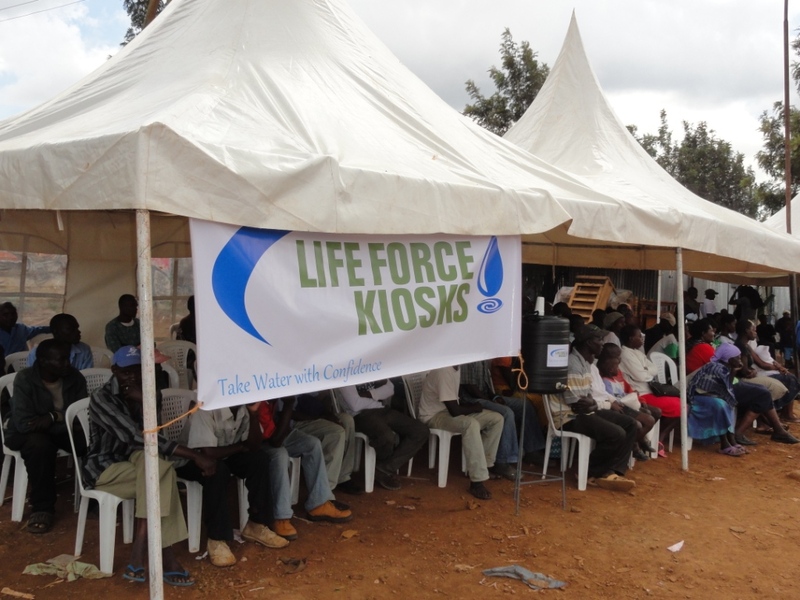 Together, they can raise awareness that benefits the whole kiosk network and the community in general. Further, most kiosk owners don’t have the business training to properly perform activities like marketing, process improvements, and new product development. They also don’t have enough power as individuals to get advantageous terms for funding and purchasing. 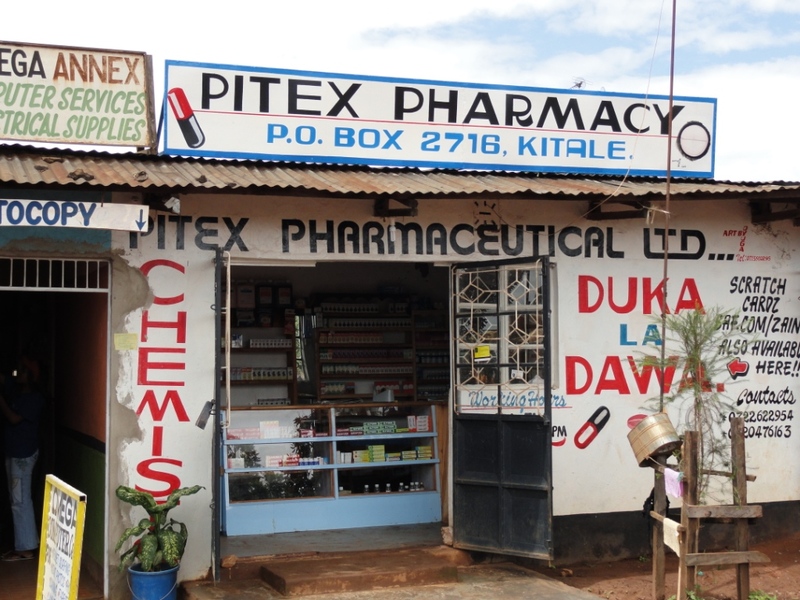 A centralized management structure can also help ensure that kiosk operators don’t run scams and sell untreated water through random water testing and process audits. Lastly, instead of leaking a relatively large percentage of the profits to an MFI, it is reinvested in the business which promotes growth. Obviously not every person has the skill set and motivation to be the CEO of a company, but in Kenya that is often your only choice if you want to work. This model properly aligns different skill sets with the work that needs to be done. There are a few distinct disadvantages of the franchise model compared to operating independently. The largest by far is the involvement of the Kenyan government. 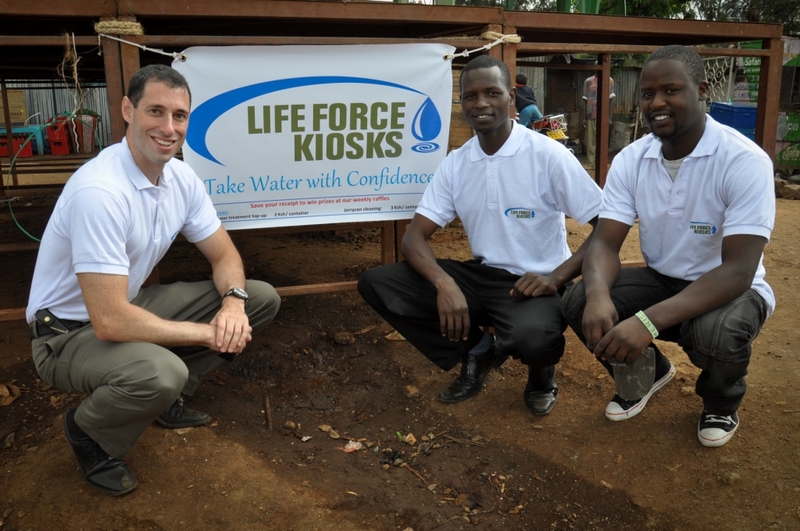 It’s relatively easy to sell fruit (or water) out of your home or in a small individual kiosk. When you’re talking about a larger company, suddenly you have to factor in government approvals and “fees”. The second problem is that the margins in this business are necessarily slim, and therefore a large network of kiosks must be established before the overhead costs of management salaries can be supported. Even paying for just one Kenyan manager, which is what I would anticipate in the early stages, would be nearly impossible without initial subsidies. The third problem is regarding capital. We would need some. For the model to have any chance at success, initial capital will likely have to come in the form of donations since there wouldn’t be enough profit to cover overhead expenses plus principle and interest payments. Fortunately I don’t think the business would need a huge amount to get off the ground. It depends largely on the size of the community and how many kiosk partners we take on initially. My estimates show a cost of about $120 per vendor for equipment, $2,400 for the manager’s annual salary, plus unexpected costs such as government fees and other random start-up expenses. I’m sure there are other costs I haven’t yet thought of as well. I’m very happy to have met a potential candidate to serve as the manager of the clean water kiosk franchise. 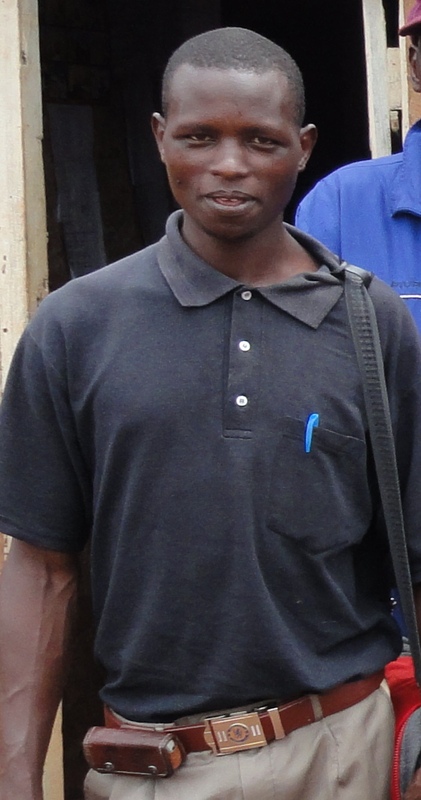 Steve Mumbwani is one of several college students that has been interning here at Common Ground with a focus on community development. After Steve finished high school, he worked for six years to save up enough money to put himself through college. I’ve found him to be charismatic, intelligent, and a strong leader. Steve was one of my interpreters in the field interviews, and it was always fun to watch him convince people on the need for clean water after the interviews were completed. 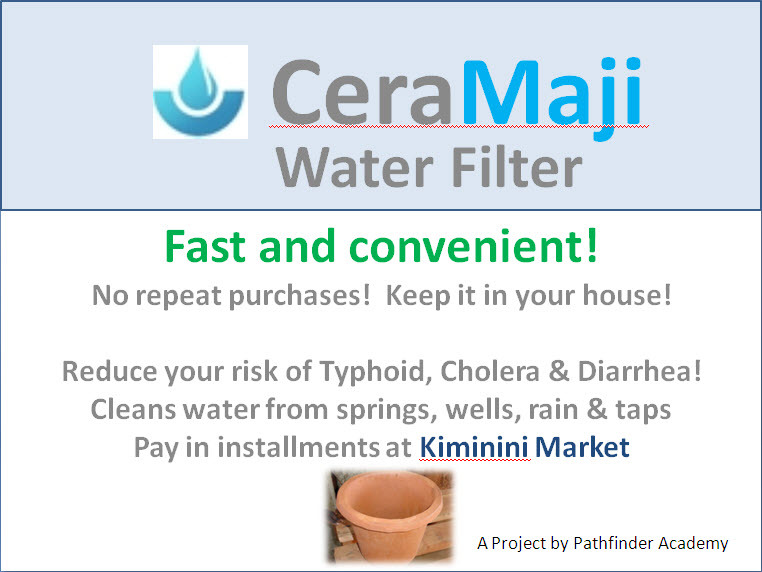 On multiple occasions, people that previously had never treated their water asked if they could buy a filter right then and there after speaking with Steve. Stay tuned for further updates as we hash out the kiosk model. As always, I welcome your feedback and suggestions. Trying to craft an advertising strategy has been an interesting experience in Kenya. The marketing channels are far more limited than in the US. E-mail, direct mail, search engine marketing, magazine ads, and event sponsorship are all unavailable. Television ads are both prohibitively expensive and not terribly useful to reach a large population that doesn’t own a television (or certainly doesn’t watch it as much as Americans). After spending a lot of time observing what works in Kenya, it seems one of our best options is plastering the area with signs. We’ll likely use a combination of large road side signs placed on the main road, along with hundreds of small signs that we’ll provide to shops that sell our filters. Here are some mock ups of potential road side signs. If they seem very simplistic, it’s because they are. Advertising here is generally very basic and to the point. 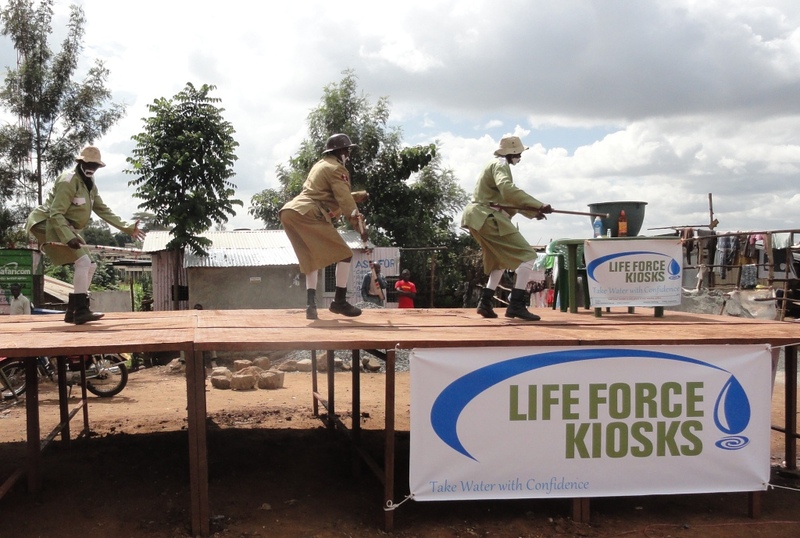 In fact, the most common way to produce a sign around Kiminini / Kitale is to have it painted by hand. Of course, like all marketing, a single channel is not nearly as effective as an integrated multi-channel campaign, so these signs will reinforce the messages we’re promoting through live market demonstrations, community group presentations, educational fliers, and more. 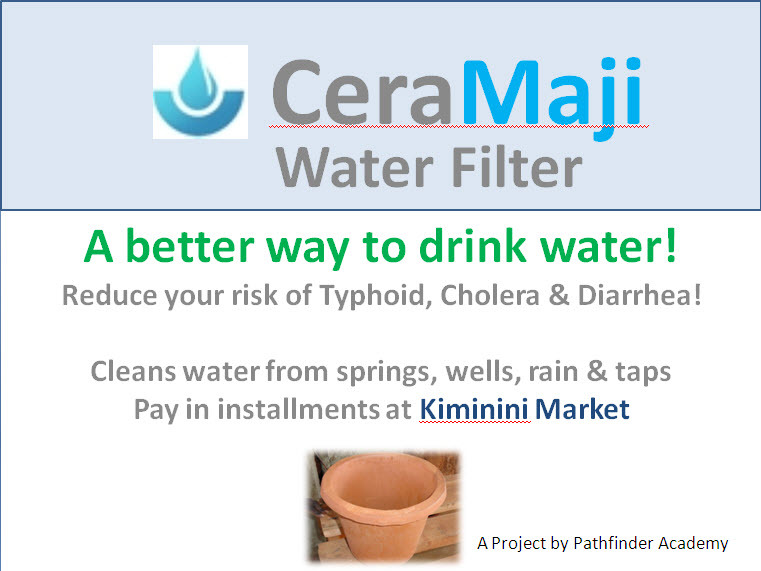 Today we reached a key milestone towards the successful distribution of the water filters. 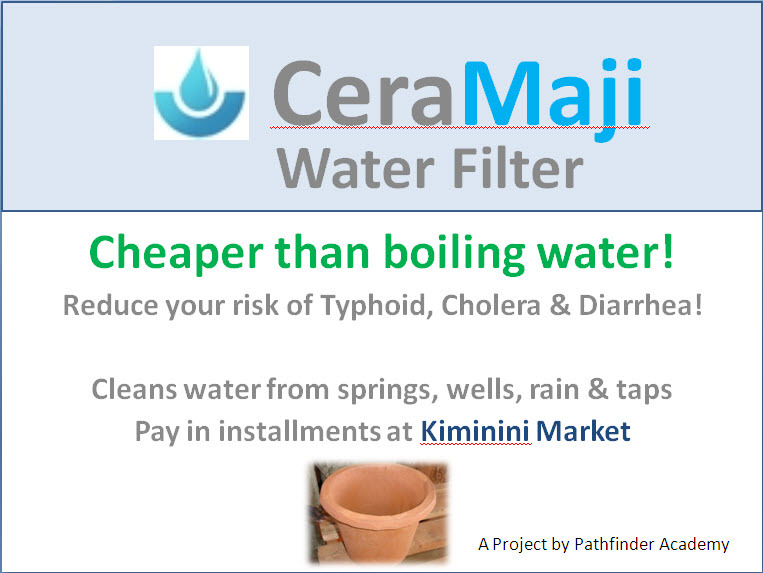 Along with one of the factory staff members, I went to speak with several shop owners in Kiminini market to gauge their interest in selling the filters. Not only were they very excited about selling them, but they also said that selling them in installments would be no problem at all. The installments are a critical component, as most villagers said they wouldn’t be able to (or wouldn’t want to) pay 1,000 – 1,500 shillings all at once. Putting up signs and posters in their shops is fine as well. I have the say that while there may be a lot of problems with business in Kenya, I do love the lack of bureaucracy (so long as the government isn’t involved). We were able to speak directly to the shop owner (often the only person working in the shop). At the end of the conversation, several owners asked if they could have some now so they could start selling them. No checking with procurement, legal, and a host of VPs all with their own agendas. They just thought it was a good product that their customers would like and they were ready to go. Very refreshing. 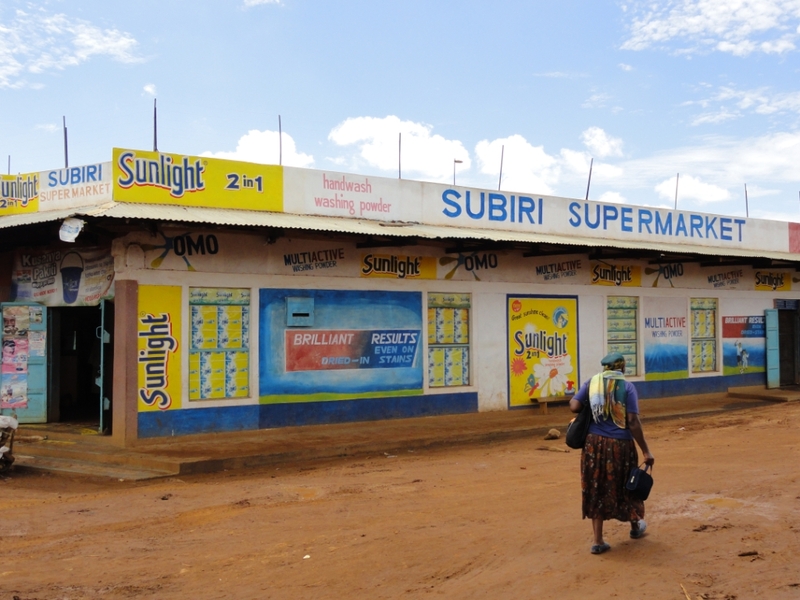 We spoke with the largest pharmacy and the largest supermarket, as well as several smaller shops. The more shops we can get into, the better. 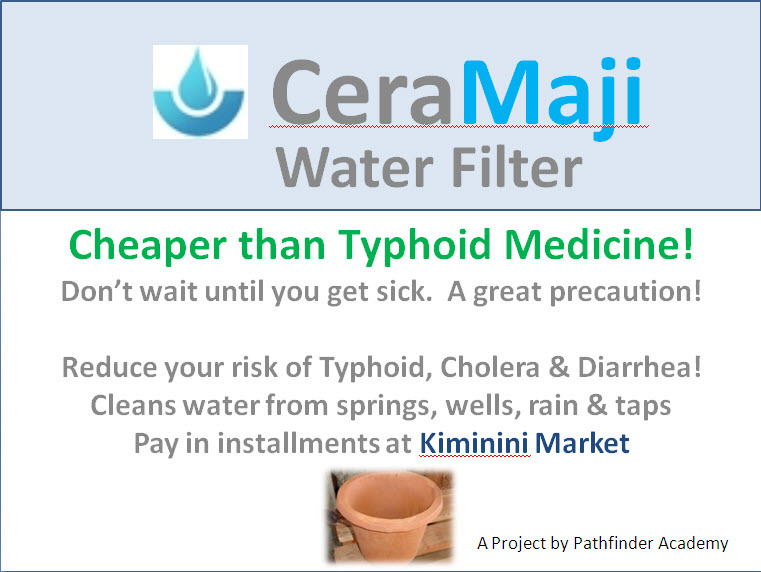 This will keep the pricing competitive, increase our brand awareness, and help ensure that most people can get the filter with a shop keeper they know and trust. 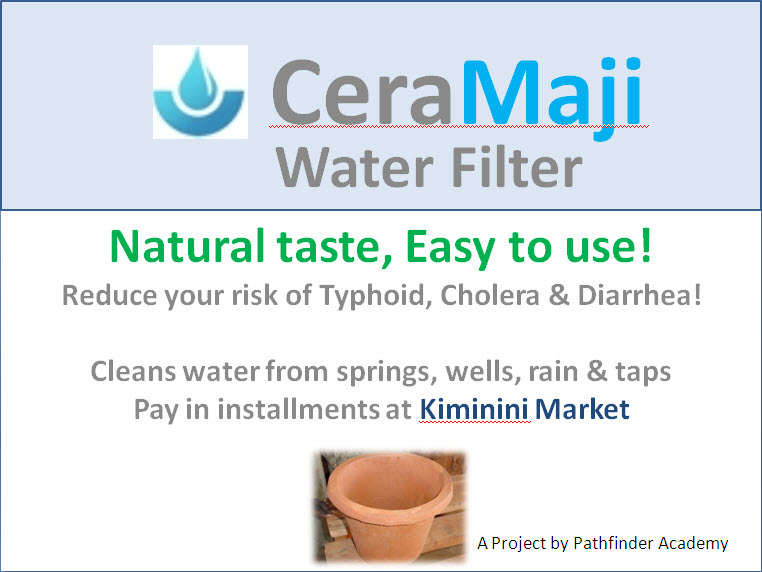 Based on the initial reactions of both the local residents and the shop owners, I’m far more optimistic that we’ll not only be able to launch the filters successfully in Kiminini and Kitale, but eventually roll out the filters to other areas such as Eldoret, Kisumu, and Nairobi. Overall, a good day.